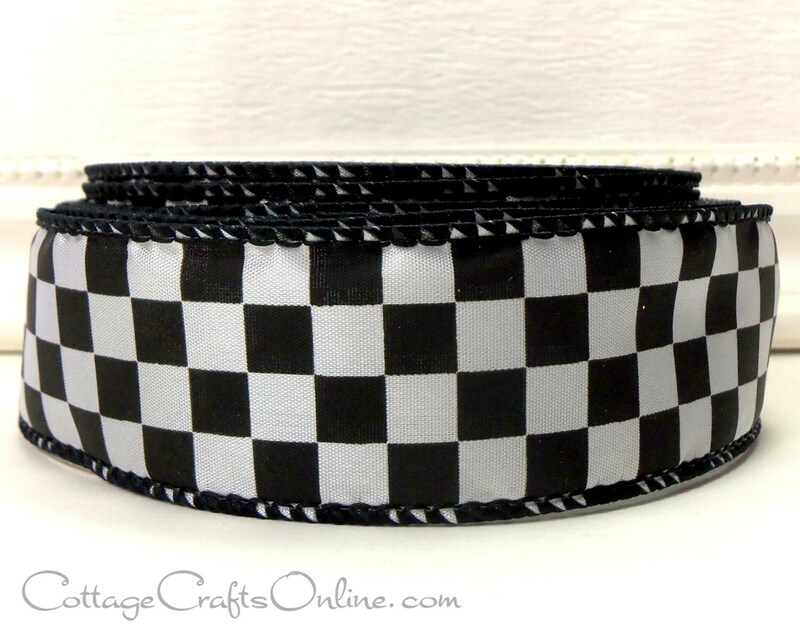 Black and white check, 1 1/2" wide ribbon with a wired edge covered in black thread. The checkerboard pattern mimics the iconic racing finish flag. Love the colors, it shipped on time. It will look great on my Wreath.